I have been getting dozens upon dozens of questions from that “Ask a Scripture or Theology” section on the right sidebar of this blog. I am realizing that I might have to turn it off for a while just so I can get caught up… Ha! Many of the questions are similar though, so my wife says that maybe I should create a “FAQ” section to the blog, and that way, after I have answered a question, I can point people to the post where I have already answered it… I think I will follow her wise advice. Just another reason I love her! Anyway, below is another question that came in recently. This one is about Jesus’ second coming. First, thank you for replying to my posts. Once in a while I see something online that I feel strongly moved to comment upon. The subject of saying “God bless you” is not what inspired me to make the comments, it just seemed like a good place to start. Before I go any further, I need to tell you that it occurred to me after posting that you may have taken some of what I wrote as a personal criticism. That is by no means what I intended, not even in the least, and if my writing did give you that impression, I apologize. The reasons I bothered posting are first, because I just “happened” upon your website this morning for the first time, when researching something I’m working on. One of the two biggest questions I’ve had in my own mind for some time now, with respect to traditional Christian theology, was regarding the meaning of 2 Timothy 3:16. I knew I needed to find the meaning of the original words because I was fairly confident that there was a problem with the meaning of the word translated into English as “Scripture.” Your initial post answered my question thoroughly. Thank you for that. Responses from your readers were of additional help. As always, I got exactly what I needed, when I needed it. It still awes me that it continues to happen, and I hope I never become nonchalant about that. I’d like to add my own comments on that passage in 2 Timothy, and perhaps I will in the near future, but that is not the biggest priority in my work right now. The second reason I posted was because of your apparent humility and lack of ego. I haven’t yet had the time to explore your website more thoroughly, but my first impression is that you try to present yourself as a fellow seeker who, in spite of formal theological training, understands that teaching and learning are inseparable, and neither of them is a one-way street. That is a refreshing change from the attitudes of so many evangelists both online and in the pulpit. As I referenced your website while writing this, I came upon your statement that “my theology has changed a lot since I preached these sermons (which is one reason I am not a pastor today. )” That convinced me that I should ask you my next question. There is another passage in the New Testament which I strongly feel has been misunderstood. I don’t have chapter and verse numbers memorized, so again I had to research before writing this. Also, in Mark 14:62, Jesus says, “You will see the Son of Man sitting at the right hand of power and coming with the clouds of heaven.” This is a much more difficult verse to interpret for those of us who know neither Aramaic nor Greek, but the same interpretation seems to fit. I don’t know if you’ve already addressed this in your blog, but I wonder if you might find time to share your thoughts on this? Anyway, that is not what you were asking about. You were asking about passages that speak of Jesus’ second coming, or the return of Jesus. You specifically mention Luke 17:20-24 and Mark 14:62. I am by no means an expert on these texts. I have been studying and reading a lot about them in the last several years, but have no firm conclusions. So let me simply state some tentative ideas about these texts, and then trust God to lead you into more understanding about them. I followed the word “traditional” above with question marks because although this view is traditional for me (it is what I have been taught for most of my life), I am not sure that this is the traditional view throughout all church history. I suspect that it is not. The traditional (??) understanding of passages like Luke 17:20-24 and Mark 14:62 is that they refer to Jesus’ second coming. And yes, if that is what these texts refer to, Jesus’ second coming will be visible worldwide and there will be no doubt in anyone’s mind of what is happening. This is why Jesus says that if you hear reports about His return, you don’t need to go see if it is true. When He returns, you will know. If this is the way Jesus’ second coming occurs, I do think it will be with a physical body. Though the passages mention clouds and lightning, these are simply things that would accompany His return, and do not themselves describe the form Jesus will take when He returns. So if Jesus comes on the clouds with lightning, but He is in physical form, how will everyone see His return? This I do not know. I can speculate that maybe the lightning will flash all around the earth and Jesus would take a quick trip around the earth as well so that all can see Him, but I simply do not know. It would put us on dangerous theological ground to say that Jesus’ second coming will not be with a physical body. Just as Jesus came physically the first time, died a physical death, and was raised with a physical body, so also, Jesus’ second coming and His rule and reign on earth will be with a physical body. This is partly so that Jesus can continue to identify with us in our humanity, but also so that we are not deceived into thinking Jesus has already returned spiritually when in fact He has not (this was part of the error Paul tried to correct in the Thessalonian church). He argues, rather persuasively, that these sorts of passages about Jesus coming in the clouds should be read in light of Daniel 7:9-14 where the “son of man” is described as going from earth to heaven for vindication before God. Wright argues that passages like Mark 14:62 do not predict a future second coming of Jesus from heaven to earth, but rather, predict the coming of Jesus from earth to heaven. This event was fulfilled through the resurrection of Jesus, and especially during the ascension of Jesus when He did in fact go from earth to heaven on the clouds (cf. Acts 1:1-11) and then was seen at the right hand of God the Father (cf. Acts 7:55-56). This is a relatively new idea for many, so I recommend N. T. Wright’s book, How God Became King. As for myself, I am not fully convinced of Wright’s understanding of these texts, but I also see major problems with the traditional (??) view as well. My current view is that both views are right. Kind of. Yes, Mark 14:62 and Luke 27:23-24 refer primarily to the ascension of Jesus, not His second coming. However, numerous other texts are pretty clear that Jesus will return physically a second time. Furthermore, Acts 1:11 seems to indicate that Jesus will return to earth in a similar fashion as He left, that is, with the clouds. I do not know exactly what it means for Jesus to return on the clouds, how this will look, or how it will work. For me, it is enough to know that Jesus will return and finally set up His Kingdom, of which there will be no end. Until that time, we are called to live as if the Kingdom was already here. Doing so points people to Jesus, helps people see what God really intended for the world, and invites everyone to look for that blessed and glorious appearing of our Lord and Savior Jesus Christ. And that, actually, seems be how Jesus explains His own words. In Luke 17:21, which you referred to, Jesus says that one reason people should not look for observable signs of His second coming (cf. 17:20) is because the Kingdom of God is within you. This concept of the Kingdom of God being within us (or being at hand), is common throughout the teachings of Jesus. In my opinion, Jesus means that before the Kingdom of God arrives physically (as Jesus’ second coming), the Kingdom of God arrives spiritually in our lives. As we live our day-to-day lives according to the principles and values of the Kingdom of God, God’s rule and reign expands in our own lives… in our thoughts, our actions, or words, and our deeds… The Kingdom of God does not reveal itself with flashes of lightning in the sky, with signs in the stars, and great miracles which cause men to take notice. No, the Kingdom of God primary comes through giving cups of cold water, through speaking the truth in love, through loving, feeding, and clothing those who have less than we do, through hugs to the lonely, meals to the hurting, through being present with the broken. What does this mean? It means that as followers of Jesus, we have no business sitting around twiddling our thumbs and waiting for Jesus to return. Jesus is returning right now, in us, through what we say and what we do. 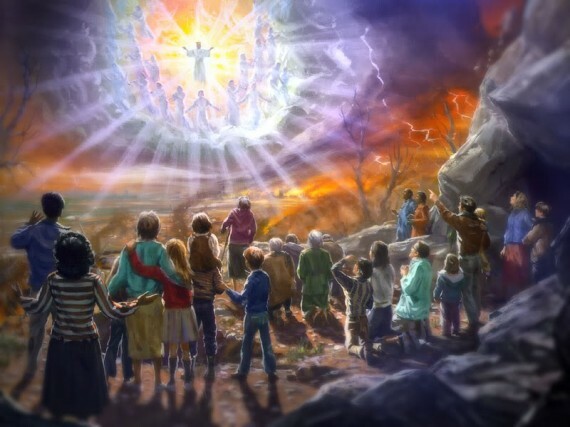 So let us stop waiting for flashes of lightning in the sky and Jesus coming on the clouds, and start looking for ways to show sparks of love to those around us, and let Jesus return today in how we live. If you appreciated this post, please consider sharing this answer with others using the buttons below, because this way, others who have similar questions can get some direction and maybe even weigh in on the conversation. Thanks! Not sure what you mean… are you saying my answer was too short or that I didn’t think it through long enough? 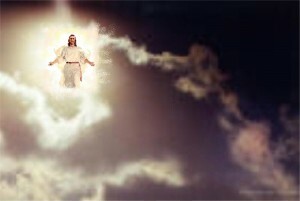 How might the whole world see Jesus’ return in the clouds, Jetemy? I’ve always pictured the whole sky turning into an enormous Jumbotron. I have heard some say that prior to the instantaneous global information era that this would be impossible, but now everyone could witness this event. Could it be the same with the return of Christ? Is it necessary in scripture for every person on earth to see him in the flesh? There has been much talk lately about the reason for the chemtrails we are seeing all over the skies. It has been determined that the clouds are being seeded, and seeded for a purpose. There are videos shot in different areas of the world (China, Australia, even in the desert of Africa) where people can actually see whole cities in the clouds. These are holograms which are being perfected. There has also been talk that a hologram of Jesus will be shown in the sky in every country, and also that He will “talk” about one world religion in each country’s language. I know that this sounds crazy, but some of the holograms I’ve seen are so awe inspiring that I’m thinking this could be true. Satan will go to great lengths to turn people from God. The technology is there, and the thought of it is scary … to say the least! Has anyone else noticed how often we are hearing NASA talk about new planets, flying saucers, etc. lately? Suddenly we are seeing crosses, what looks to be God’s arm, horses, angels, etc. in the clouds. I personally pay none of it heed, and I believe that I will know the difference between my Jesus and a hologram ~ as my Jesus won’t be telling us to go the way of a one world religion. He will be here to gather up His bride, not to talk about religion. Jesus will not walk on earth again. We will meet Him in the clouds and travel to heaven with him. We are not told how, but we will be changed and become like the angels able to travel like them. It’s important to realize that the righteous dead will come out of their graves en mass at His appearance and then we will meet them in the air. Jesus will never walk on this earth again. It will be destroyed by fire and a new heaven and earth created . Isaiah 65:17; 2Peter 3:13; Revelations chap 21 and many other verses. We cannot be fooled or led astray if we study the scriptures for ourselves. I’m grateful for the Bible and even more grateful that there is still religious liberty at present in most countries. That too will be taken away in the not too distant future. So for myself, I have decided to study them while I can. This is my earnest belief. I have more questions than answers about the return of Jesus. I can add to the confusion though. Is 19:1 Jesus returns to earth inciting civil war in Egypt. Is 63:1 He returns by way of Edom (Jordan and Saudi Arabia) and he kills a whole lot of people while he’s there. Check out Joel 3. Bloody stuff about his return throughout the chapter. I have a brain full of details about Jesus’ return but not enough knowledge to put them into order or explain them well. Here is one parting thought. As much as he was compared to a lamb – his second coming will be like a lion. Jesus is very loving and nice – but he has received power and you don’t want to mess with him or those he loves. I am with you. I have more questions than answers. Especially since most of what I have been taught (and most of what I taught) over the years now seems to be on shakier ground than I knew. An oracle against Egypt: Look, the LORD rides on a swift cloud and is coming to Egypt. Egypt’s idols will tremble before Him, and Egypt’s heart will melt within it. I will provoke Egypt against Egypt; each will fight against his brother and each against his friend, city against city, kingdom against kingdom. get that picture. About the time of Jesus return he will incite civil war in Egypt. Oh, yea, that is happening now, like it has never happened before. Hmm. Interesting. I hadn’t heard this connection before. Just for the fun of it, how do you all picture Jesus’ clothing, when he returns? A robe – like the pictures. A suit – like a senator. The pictures always have him in a white robe riding a white horse. But you are right… why would it be that way? Charles Wesley had an idea about our Lords return in the hymn. His very own back to His Father. The last verse completes our response. I love Wesley’s hymns. That is a good one. And the Saints will return with Him at His second coming. This tells me that we, the Saints, will be raptured prior to His second coming. See 1 Thessalonians 4:13-18. It explains it clearly. 1 John 3:2. My loved ones, now we are children of God, and at present it is not clear what we are to be. We are certain that at his revelation we will be like him; for we will see him as he is. Sounds like John is saying that he does not return to what he has overcome (corruptible flesh), but that we become as he is (incorruptible spirit). So perhaps people are waiting backwards in their thoughts, reasoning from the ground up instead of from spirit. We want Jesus to return and give us a better human existence, but we should want lifted out of it. He already came in the flesh. Paul says, we know Christ no more according to the flesh, but that he has become a quickening spirit. Seeing and perceiving are two different things. The whole world can perceive something simultaneously (in the mental realm), and yet not see it with the eyes (in the physical realm). So perhaps the second coming is a mental event, of the heart and mind. And perhaps it is always happening, one person at a time. I think what you said at the end is more important than whether Jesus will float down to earth in literal or figurative clouds of power. I hear what you are saying, but I must disagree. What you are saying sounds a lot like Gnostic dualism that was condemned by many in the early church. Matter is not evil. It is good, but has become corrupted. When Jesus returns, He creates a new heaven AND a new earth, which means he purifies and redeems the universe, and restores it to the way it was intended to be so that we can live and dwell on earth with Him forever. I must admit, I am ignorant of the gnostics. I see what you are saying, though. I think. That I am suggesting two bodies, one physical, one spiritual. Not my intent. If that is what you mean. Nor evil matter. What we call matter is only evil or good according to what qualities we attribute to it. Or how we use it. That wasn’t my intent either. This is a sincere question, Jeremy. I’m not trying to be argumentative. Wouldn’t the belief of a second creation replacing the first be dualistic? And if not, why? Why should God have to get rid of his first creation? Love the dialogue! I actually think that God will “re-create” the current creation, rather than just start over, for the reasons you state. Like you, I see no real reason for God to get rid of this current creation. Unless….. sin has so permeated creation that it can only be destroyed…. I just don’t know exactly how “sin soaked” the matter of creation actually is (or can be). Drop a comet on them called Wormwood revelations 8:11 lol… mother nature is going to drop a bomb of fire and brimstone, uummm remember how the dinosaurs, became extinct, hmmmm. Jesus specifically explained that he was not a spirit, but flesh. 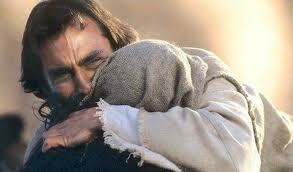 This was after he died and was resurrected. Those two statements sum it up perfectly. They are the absolute truth, and of ultimate importance. Speculation on the details of the second coming is interesting and possibly useful, but we should keep it to coffee breaks and leisure time. We have a lot of more serious work to do. Stop waiting for Jesus to return and free the earth from the unrighteous. And if you tend to judge people on their beliefs, stop that too. Just because someone is a Muslim, Buddhist, Taoist or even an atheist doesn’t mean they’re condemned. In fact, they may be better ‘Christians’ than you are. Remember, the harder it is for you to love someone, the more reason to do it. I think one common mistake, leading to a lot of confusion, is equating Jesus with the Christ. Jesus was the name of the physical body – the original body of Christ that walked in the Holy Land two millennia ago. Today, we are the body of Christ. We are the hands, eyes, ears and voices of the Christ, which is the Holy Spirit within us. We must do what we can, work as hard as we can, to help realize that kingdom. Not through force, not by proselytizing, but first by finding more ways to give love, as Jeremy pointed out; then through individual, meaningful lifestyle changes and political involvement. Then, if we must, worry on our coffee breaks about what the future may hold. “I declare to you, brothers and sisters, that flesh and blood cannot inherit the kingdom of God, nor does the perishable inherit the imperishable.” 1 Cor. 15:50. “Do not lay up for yourselves treasures on earth, where moth and rust destroy and where thieves break in and steal.” Matt. 6:19. The Mammonic global economy is the biggest obstacle to the implementation of the Kingdom of God. We must deny Mammon at every turn. Start by, instead of making sure you always get your money’s worth, make sure you never get more than your money’s worth. Realize that there is still plenty on earth to feed, clothe and house everyone, and it is only fear of not having enough, and greed based on that fear, that keeps us from sharing it properly. Believe it or not, bankers and investors are the most fearful of all in that respect. Rethink your concept of investment. Your interest should not be in dollars and cents, but in benefit to the needy, to friends, family, neighbors, even strangers and ultimately all of society. It’s time once again to overturn the tables of the money-lenders. Support, join and volunteer at food banks, co-operatives and barter exchanges. Stop buying useless consumer goods, especially at Christmas time, and especially those made halfway around the world. Overcome your addiction to automobiles and ‘infernal combustion’. Saying something is “good for the economy” is like saying summer is good for the thermometer. Don’t vote on what is “good for the economy” but rather on what is good for society. The economy has become a monstrous beast that demands feeding, sacrifice and appeasement. It should be nothing more than a measuring tool. Those are just a few suggestions to start – not mine by any means, but collected from various sources. The thing is, we need to get to it. It isn’t just Christian scriptures, but writings from all cultures and traditions that foretell a disastrous end to civilization as we know it. That painful apocalypse, or revelation, will be when great Babylon finally falls, and the world realizes that the ways of man, without spiritual direction, come to nothing. We’ve probably gone too far to avoid it, but maybe we can make it less painful. Selfless love is the only way. Lots of really good points here! So true that we worship mammon more than follow Jesus. That is really, really interesting what you say about the writings from all cultures and traditions. Do you believe that God also “inspired” writers from other cultures to write what they did? All of us participating in this blog are inspired by God to do so, though each of us is probably mistaken at times in some respects. Living a holy life is simply continuing to be inspired by God. Mankind is unique in all of God’s creation in this – We alone are made of earth and spirit. No animal nor heavenly being is like this. Animals are made physical, of the earth. Angels are made spiritual. We alone though have a life on earth but with access to heaven. Being as it is, that we live in both realms, God has vested authority in human beings that no one else has. We have dominion over the earth but with an ability to receive help from heaven. God himself would not take that authority except that he also came as a man. If God is going to be consistent with the declaration he has already made, he must return to earth as a physical/spiritual man. He left that way and he will return the way he left. Some people see human beings as ethereal, as spirits, who can come into or go out of this body. I don’t see it. From Genesis to Revelation we are flesh and spirit, not either or, but always both and THAT is our glory. It is that, that the angels are fascinated with and the demons are jealous over. Great points, Bob. Yes, this “flesh and spirit” mixture is what makes us unique among creation, and I don’t think God will do away with this blend at some future date. He made us this way in the beginning, and we will dwell this way for all eternity, living as life was meant to be lived! I cannot wait! I agree with you Jeremy that many Christians do take the apathetic attitude towards living out the Christian life because they are more focused on the things of this world. Like the “one saved always saved” doctrine, they place their faith in Christs return, and not on Christ himself. They use these “doctrines” as a license to live worldly lives. I would like to say in opposition to some comments about wasting time on speculative teachings, If the church taught more on the imminent return of Christ, I feel more people would live lives of faith, of meaning, and of purpose knowing that they may soon be face to face with their Lord. So from that viewpoint I don’t think teaching prophecy and end times, which make up a sizable portion of scripture, is a waste of time. Excellent points. I do think that thinking about God and studying Scripture and theology is a worthwhile pursuit. Along with the reasons you state, it is also true that all our actions and behaviors come from what we think. If we think wrongly, we will behave wrongly. So the best way to behave rightly is to change our thinking and bring it in conformity with God and His Word. I think some people do have these conversations in church, but usually, a typical church has already decided what they believe on this topic, and you can either agree or find a different church. So when Yeshua says that after the tribulation, the “sign of the Son of man” will appear, I think he is referring to the sign that was given to his own generation. His resurrection was a sign for them and the resurrection at the end of this age will also be the sign for those on the earth. Right after the sign is seen, it says the tribes of the earth will mourn, followed by Yeshua’s return on the clouds. My question is does the angel mean that Yeshua will return in the exact same manner in which he left (clouds) OR does it mean the same way in which Yeshua was taken up into heaven will be the same for the Great Multitude at the end of the tribulation? I see this as being possibly understood in both ways. He will return to take up the Great Multitude, but he will not physically be seen. He will be hidden by the clouds. I think people have misunderstood the body and eagles, I certainly did. I believe the “body” refers to Yeshua’s body and where he resides now. John 14:2-3 In my Father’s house are many mansions: if it were not so, I would have told you. I go to prepare a place for you. And if I go and prepare a place for you, I will come again, and receive (same Greek word as “taken” in Luke 17:34-36) you unto myself; that where I am (Body), there ye (Eagles) may be also. The eagles would be those with keen insight, much like an eagle has physically keen sight. I should probably explain why those who pierced him will see him as well. They won’t physically see Yeshua, it will be the people being taken that they will physically see. The people being taken knew his coming was near, but those left did not until the day that “Noah entered into the ark and Lot left”. Conclusion: The Kingdom of God is within us, it won’t come by watching with the physical eye. It will be a knowing. Don’t follow after those who are physically seeing. People will be going about their everyday lives completely unaware of the destruction that is to come upon them. Those with spiritual understanding of his coming will be taken to where he is. The book of Daniel has been opened, the AC is here, but not yet in position, the deadly wound will be healed in the not to distant future and the world will follow after the beast. Jesus Christ will descend from the Heavens and stop while still in the air. All will see Him there and only there. His coming will look just like a lightning bolt from the East to the West. He will not come back down to the ground until He puts His Holy Feet down on the Mt. Of Olives after the 7 years of tribulations. Planet X or Nibiru cannot & will not destroy the whole Earth because Jesus will return on the Great Day of The Lord to rule and reign on Earth for 1000 years. Shorty after, antichrist & satan will be tossed into the lake of fire. So, if anyone says you can go see Him here or over there is a liar, an agent of evil. That will be the antichrist. Do not be afraid of Planet X or Nibiru because Jesus Christ said “Be of good cheer, for I have overcome/conquered death, the grave, and the world”! Repent and ask Jesus Christ to become your Lord & Savior now before it is too late! You say, “All will see him there, and only there” (stopped in mid-air, partway down from the Heavens). But then you say, “So, if anyone says you can see Him here or over there [that person] is a liar, an agent of evil. That will be the antichrist.“ Aren’t you calling yourself the Antichrist? Actually, it’s never too late unless it’s over, though the Holy Feet are even now descending, as the tribulations run their course. It’s never too late. It’s always right now. This day is the very Day of the Lord. As for tossing spiritual adversaries into the lake of fire, that’s up to each and every one of us to do. Planets X and Nibiru may or may not exist, invade, or destroy, but that’s irrelevant. Don’t quote the Bible, just speak from your heart. Listen to your holy Spirit. Listen to your heart, and you can quote the Holy Spirit. Have no fear. Just love.